Creating success on Etsy seems elusive when you first start selling on the platform and my guest this week certainly experienced that feeling in the beginning. 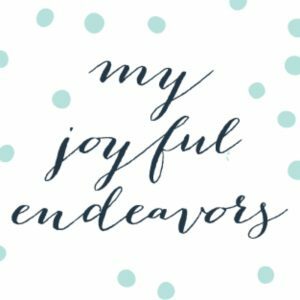 Rebekah runs the Etsy shop My Joyful Endeavors where she sells her hand-crocheted one-of-a-kind rugs. After waiting six months for her first sale she started to figure out what she was and wasn’t doing correctly when it came to selling on Etsy and that made a world of difference.